The AUSA 2013 Annual Meeting, held this week in Washington, DC represents one of the world’s largest land force exhibitions. The AUSA 2013 Annual Meeting, held this week in Washington, DC represents one of the world’s largest land force exhibitions. Hundreds of exhibitors and tens of thousands of military and civilian visitors are attending the professional development forum at the Walter E. Washington Convention Center. A “first look” through the Association of the United States Army (AUSA) annual meeting exhibit area indicates that ongoing government budgetary uncertainties have had little negative impact on the creativity and vision of American and allied industrial designers. 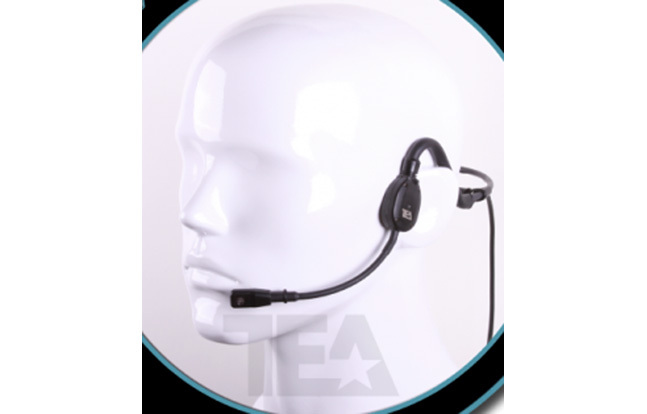 TEA Headsets, for example, is introducing several new tactical products at the AUSA event. One new 20 meter submersible lightweight headset design has been paired with the company’s waterproof push-to-talk control that could be paired with various tactical radios to provide an optimized design for naval special warfare applications. A second new product unveiled at AUSA is a rail-mountable version of the company’s high threat headset. The earmuff style design provides both hearing protection and situational awareness combined with communications capabilities. An added benefit of the rail-mountable design is ease of conversion back to a headband assembly if the user desires to wear the system without a helmet. The third recent product release includes a new simplified version of the company’s low profile “in ear” earpiece. Compatible with any tactical helmet, the design provides enhanced situational awareness through microphones built onto the outside of the earpiece, allowing the users to hear everything around them while muffling loud noises. http://teaheadsets.com/. 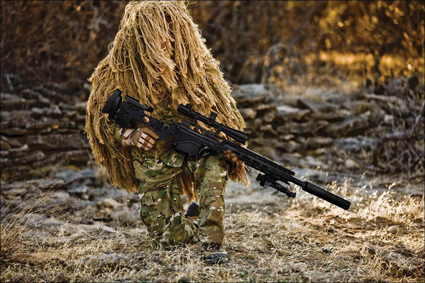 Remington Defense bracketed its AUSA exhibit with the “twin pillars” of its M2010 U.S. Army Sniper Weapon System and recently-awarded United States Special Operations Command (USSOCOM) Precision Sniper Rifle (PSR). Previously referred to by Remington as the Modular Sniper Rifle, the PSR includes .338 LM (27” barrel), .300 WM (24” barrel), and 7.62mm (20” barrel). 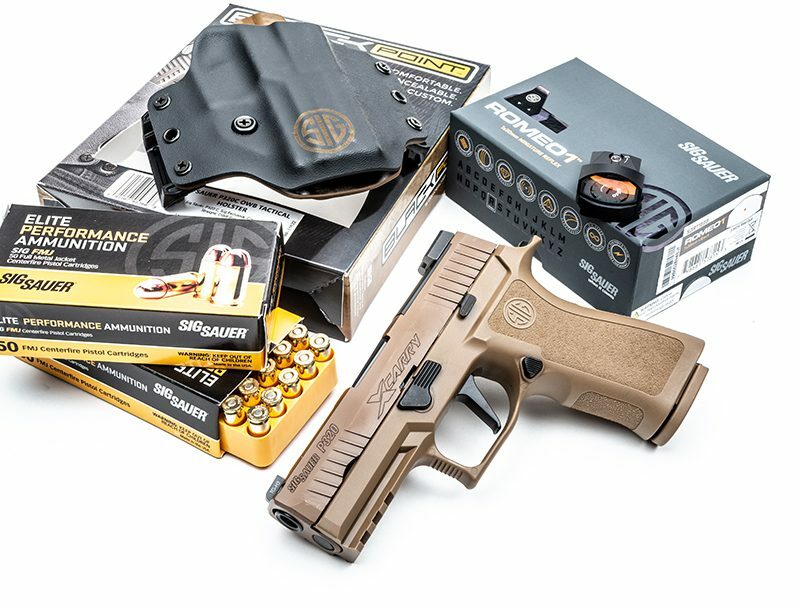 Company representatives point to a range of features, including quick barrel change, two-stage adjustable trigger, titanium receiver, fully-adjustable, lightweight buttstock that can be fit to any size shooter. http://remingtonmilitary.com/. 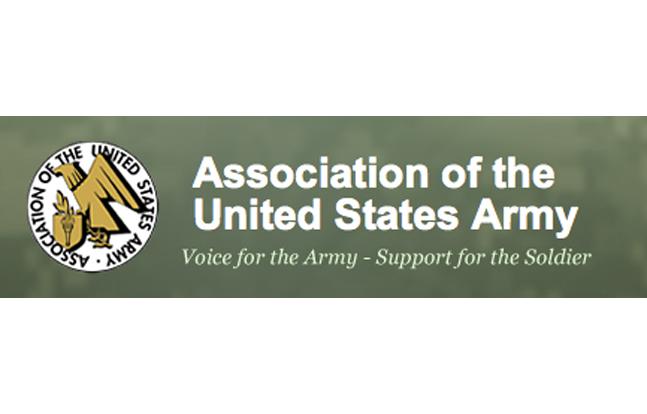 Barrett is using the AUSA gathering to spotlight a number of its weapon system designs. Their Multi-Role Adaptable Design (MRAD), for example, was an early candidate for the USSOCOM PSR program. Like the PSR, the weapon can be adapted to .338, .300 and .308, by changing out the bolt face, barrel and magazine. The precision rifle is reportedly in service with some international customers. A second MRAD, configured in .308, was displayed with a 17” barrel. The Barrett AUSA display also includes an M107A1. As the upgrade to the currently fielded M107, the A1 design, now in test, is 4.5 lbs. lighter, has fewer parts, and is suppressor capable. Another weapon quietly drawing significant interest in the Barrett exhibit was designated M240LW. The 21 lbs. Barrett design is actually 2 lbs. 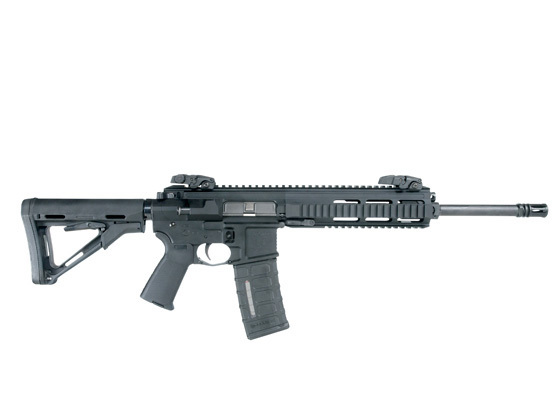 lighter than the latest M240 “Lima” design, reflective of additional weight savings derived from a remanufactured steel receiver, fluted 24.7” (standard length) barrel (1:12” right hand rifling twist), and other modifications. Other original M240 components are retained in the Barrett design. 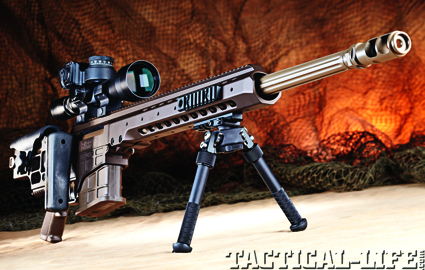 http://www.barrett.net/firearms/mrad. AeroVironment Inc. is highlighting its recent contracts to deliver additional quantities of the “Switchblade” tube-launched munition. 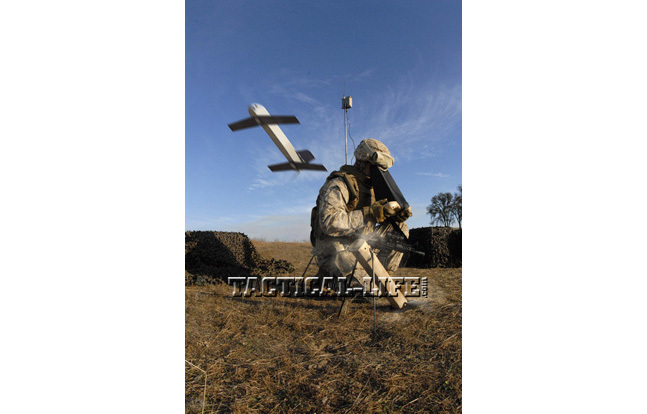 Together with ATK, its strategic teammate for advanced warheads, AeroVironment is working to fulfill combined awards of more than $36 million to provide the rapid delivery of missiles, ancillary equipment and support to ongoing customer operations. Weighing less than six pounds, Switchblade comes in a backpackable launcher that provides users with high precision direct fire target engagement capabilities at beyond line of sight ranges (10km radius of operations). Once launched, Switchblade has approximately 10 minutes of flight endurance at speeds of 55 to 85 knots at an operational altitudes less than 500 feet. Company representatives acknowledged that the Switchblade full-sized model on display at the AUSA gathering was a close as possible under international technology export restrictions. 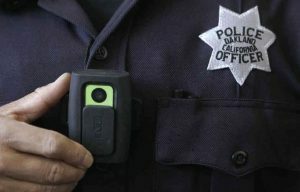 http://www.avinc.com/resources/press_release/united-states-army-awards-aerovironment-36.7-million-in-new-orders-for-swit. As might be expected, the AUSA exhibition also draws a significant international attendance, both from industry and allied military representatives. One interesting weapon design demonstrated in the Czech Republic pavilion is the Proarms Armory PAR Mk3 semi-automatic rifle. Based on the company’s original PAR Mk1, launched in 2008 and original AR-15 design, the Mk3 is initially being offered in .223 Remington (5.56mm). However, company representatives indicate that near term introductions will include 9mm Luger, .222 Remington, 7.62 x 39mm, 6.8mm Remington SPC, and 5.45 x 39mm. No special tools are required for barrel exchange between barrel lengths of 10.5”, 12.5”, 14.5”, 16.75” and 18”. Other interesting design features include a removable forward handguard that quickly slides on and off the barrel, allowing users to configure multiple handguards for either day or night use without the need to remove aiming devices. http://proarms-armory.com/. DI Optical USA Inc. used the Korean Pavilion to showcase their range of red dot optical sights for use on medium and heavy weapon systems. 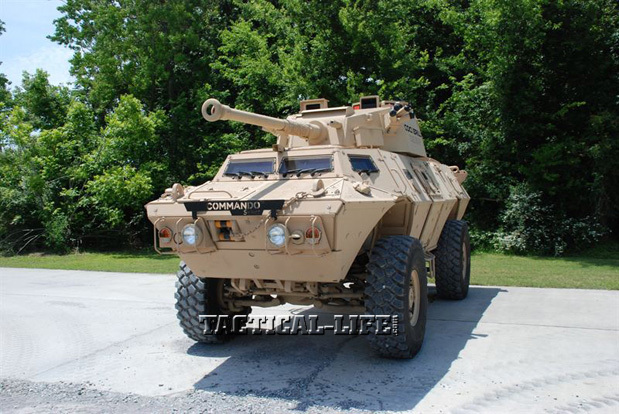 A cornerstone of the display is the company’s DCL110, which has been available for about three years with over 1,000 of the units sold to the U.S. Army. Designed and developed for use with multi-purpose machine guns on armored vehicles or helicopters, the system features an 80mm x 50mm wide lens that allows operators to acquire and track moving targets with both eyes open. http://donginoptical.com/eng/. While the AUSA annual meeting exhibition contains the broad spectrum of personal weapons and equipment, the event also highlights concepts and developments in large armored vehicles and aviation platforms. One vehicle example is the new Commando Select 90 mm direct fire vehicle from Textron Marine and Land Systems, which incorporates a CMI Defence Cockerill CSE 90LP weapon system on a 4 x 4 wheeled armored chassis. The Commando Select series is one of four vehicle families within Textron’s Commando vehicle line, along with Elite, Advanced and Utility. The turret design provides day / night combat capabilities for tactical options ranging from counter-insurgency to conventional combat operations. 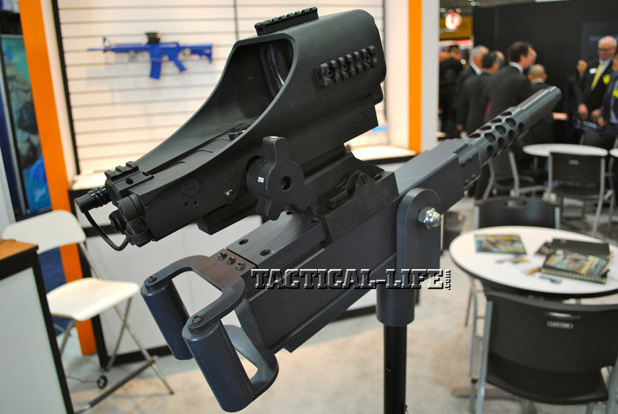 The two-person, low-profile turret is lightweight and simple to operate and maintain, and is outfitted with a Cockerill Mk3 90mm low pressure gun. Company representatives point to the fact that more than 2,300 guns in the Mk3 family are in service on vehicles across the globe and that a 90mm wheeled option could play some sort of role in future U.S. defense strategies. http://www.textronmarineandland.com/.